There is a lot of speculation when one talk about T point, T points are generally considered in-auspicious for residential complexes and auspicious for commercial buildings but that’s not the complete story and it’s not entirely true nor false. T points can be both auspicious and in-auspicious depending on the Direction, Date of birth of the owner and the resident. T points should be considered similar to the buildings main entrance, for making decisions, predictions and remedies as per Vastu shastra. Also, similar to Main entrance, auspicious and in-auspicious directions are also decided based on the Date of Birth of the owners and residents. Hang a Pakua or Convex mirror on the main door. Place green plants outside the house. Recently I have noticed an increased number of houses with severe and sometimes chronic Health Problems caused by a common Vastu Defect. They all have a low and light South-West zone. If you are suffering from the same problem, kindly check the South-West zone of your house and do the needful remedies. Defects in South West zone are generally linked to expenditure, to be more precise unwanted expenditure. But in my experience I have found that it is more frequently a cause of health problems instead of other means of expenditure. You will be able to see results in 30 Days. South West zone is higher than the other zones but is lighter: in such a case, hang a picture of mountains on the South West wall of the South West zone. you can also use this space as a store and place heavy stuff like furniture in this zone. Running water in South West zone: stop using any taps or water sources in the South West zone immediately and get them removed as soon as possible. 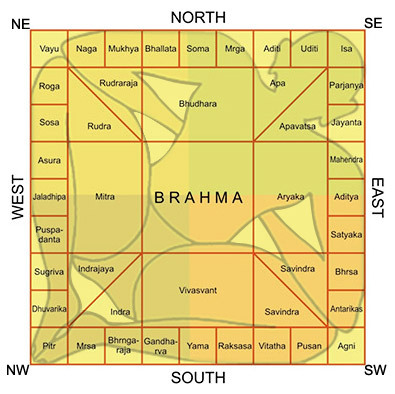 South West zone is lower than other zones of the house: construct a roof over the South West zone such that it now becomes the highest point of the house. If construction of such a high roof is not possible for one reason or the other, build a lamp-post in the South West zone higher than the rest of the building and keep the light on 24×7 or at-least at night. 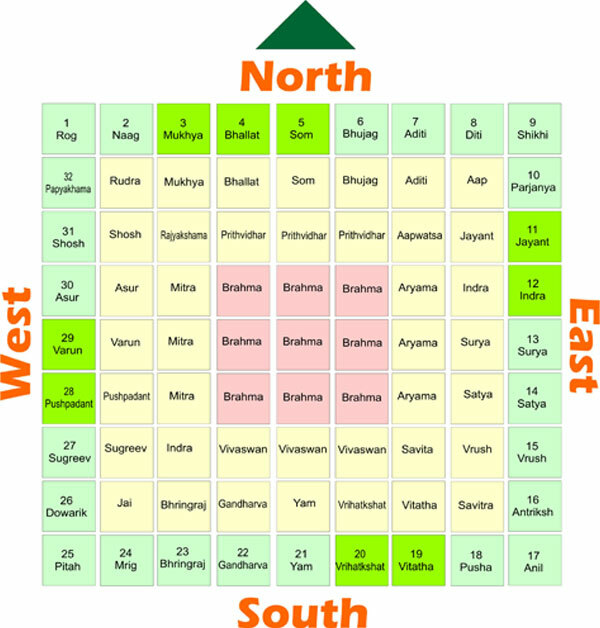 Today I am going to discuss the differences and important points to be kept in mind while doing Vastu for high-rise buildings and apartments. Measure the length and width of the building in terms of hand length. Calculate the area of plot by multiplying length and width. Multiply the obtained area by 8 and divide by 27. The remainder gives the Nakshatra of the plot. Is the building Auspicious for me? Count from the Nakshatra of the building to your Name Nakshatra (To find your name Nakshatra Click Here) and divide the number by 9, If the remainder is 3 then the building can be in-auspicious for monetary gain (Dhan ki hani), if the remainder is 5 then there can be harm to your name and fame (Yash ki hani), remainder 7 signifies health issues. Also if the count is equal to 2 there is a loss of wealth, 5 and 9 are in-auspicious for the son and if it’s 6 or 8 the building is in-auspicious in all other cases the building is auspicious. Therefor if the count is 1, 4, 10, 11, 13, 15, 17, 18, 19, 20, 22, 24, 26, 27 the building is auspicious. While doing Vastu for Main Entrance one need to understand the sitting of Gods, Goddesses and Demons when they held Vastu Purusha to ground.